Super Hot! Get Corsair CA-9011121-NA-Y Over-Ear 3.5mm Wired Gaming Headphones from Amazon.com (via PrimeDeal). 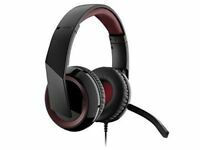 Get Corsair CA-9011121-NA-Y Over-Ear 3.5mm Wired Gaming Headphones from Amazon.com (via PrimeDeal).